Religious zealots hate it when scientists explain the earth goes around the sun, not like the bible says. The poet John Keats bemoaned Isaac Newton being able to explain the science behind rainbows. Science demystifies and contradicts some of the beauty and wisdom of the ages but it is still a long way off from explaining the thrill of carnivals. 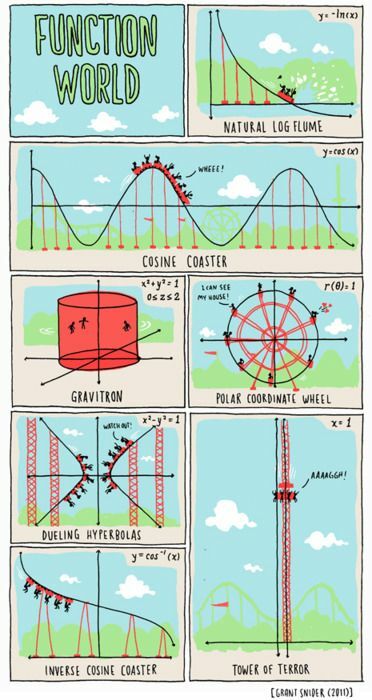 A classic Grant Synder graphic lays out the classic carnival rides by their function name and equation. The waves of the roller coaster are calculated with the cosine function y = cos (x) and the Tower of Terror function is x = 1, which is more of a constant than a function. The Synder graphic is funny because math reduces a Ferris wheel to a Polar Coordinate Wheel. Where are the screams, the shutter, the kiss at the top of the Polar Coordinate Wheel from your best gal. The so-called “soft sciences” have entered the fray too with their own explanations for fun in carnivals. A Boston Globe article last year went viral with academics explaining the psychology of the overall carnival experience, from games and rides, to food, lights and music. Do they generate a mass psychological dysfunction? A type of madness? The Globe article cited experts from around the world who boiled the mysteries down to nine psychological hot buttons. Rides create a near-death experience, experts said, making it fun to ride and fun to return to safety. Games are designed to produce near winning experiences, so players want to play more. The music, lights and crowds lend themselves to a contagion of poor self control. It seems as if amusement parks and carnivals create a feeling of being in a fantasy world, where the unreal is an escape, freedom and sometimes leads to romance. The seemingly unscientific outcomes from these perfectly explainable phenomena is the result of thousands of years of trial and error in traveling shows. 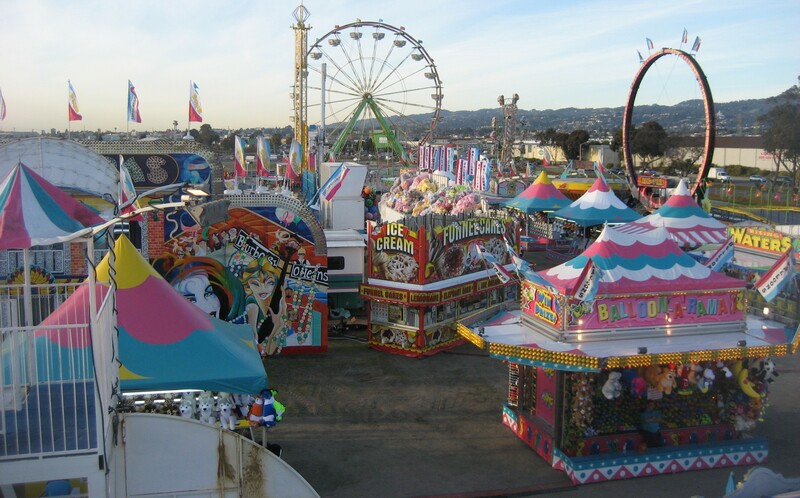 I worked in 10 traveling carnivals in a year and I can tell you that everybody knows there must be a scientific explanation for all this but the carny only cares that it works. The main aim of the carnival is the separate the mark from his cash. Nevertheless, traveling carnivals are adapting to technological realities. The biggest midways in America are cashless and ticketless. At the largest state fair by total attendance, the State Fair of Texas, carnival workers use electronic guns for game and ride payment. The electronic guns of the State Fair of Texas assure carnival owners can’t skim off the proceeds of their games from the state. However, other technological advances are aimed at increasing crowds and promoting spending. The Internet is used to pre-pay for tickets and ad another source of ad revenue for the carnivals. 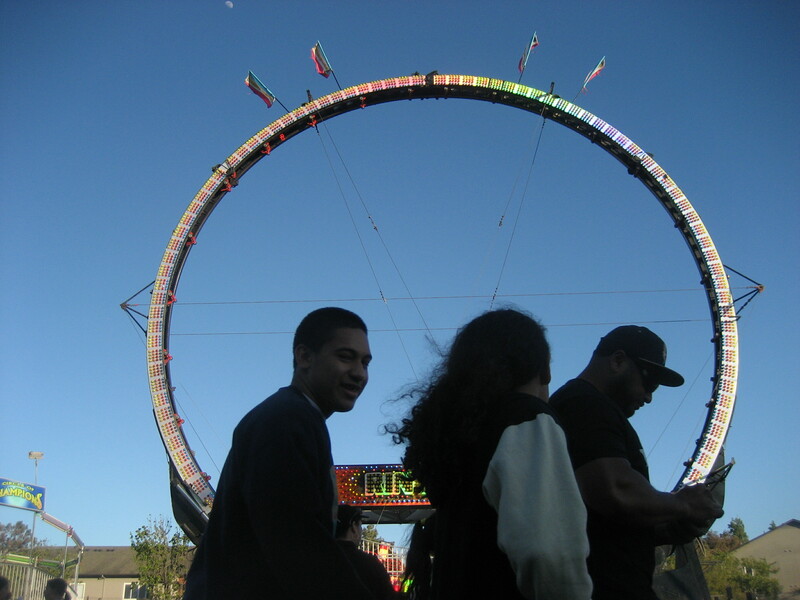 Credit cards are being used to play games, which can greatly increase the amount of money a carny might be able to get out of his mark. Technological advances on rides make them safer but bigger and faster too. Increasing fear and safety is calculated to intensify the experience. Yet all the calculations and theories have another equation. Traveling carnivals are public, communal, shared events yet years later people talk about their deeply personal experiences amid the crowds. Usually during childhood, they experienced a zeitgeist they want to repeat like childhood’s happiest moments.